RK Lorven is a residential project by RK Infrastructures, which is located in Pragati Nagar, Hyderabad. 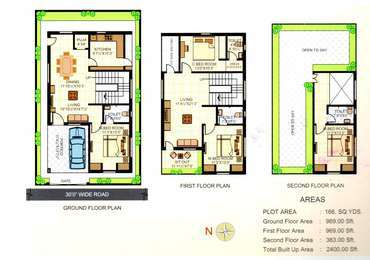 It offers well-designed 1, 2, 3 and 4 BHK residential apartment at very affordable prices and well-connected by various modes of transportation. 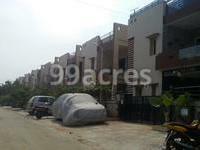 The site is located in close proximity to various civic amenities. To meet the requirements of the occupants, the project is furnished with outstanding amenities such as paved compound, rain water harvesting, landscape garden, property staff and lots more. Pragathi Nagar is a residential area in Kukatpally and situated at a distance of around 3 km from NH 9, which is connected to Mumbai. It is located at the eastern side of Hyderabad and well-connected to the several parts of the city via bus, taxi and train. Due to close vicinity to several major IT hubs, Biotech, Pharma Industries, Pragati Nagar is gaining interest by several potential buyers. Recently, government has launched Hyderabad Metro Rail Project also that will ease the connectivity. The realty sector of Hyderabad is currently experiencing a boom owing to several outstanding aspects such as emerging IT industry, upgraded socio-economic conditions, infrastructural growth and connectivity advancements. The aforementioned parameters have also attributed to the establishment of well-structured commercial and residential properties, thereby attracting both developers and potential buyers to scout for viable options in the city?s real estate arena. The progress is on the back of several factors including vicinity to IT corridor, swift connectivity, ferrous infrastructure and improved socio-economic conditions. In the area of connectivity, the locality is way ahead as people living in and around Tellapur can easily reach to the desired locations via MMTS bus services, HITECH Railway station and APSRTC. In which area is RK Lorven Homes located?The project is situated in Pragati Nagar, Hyderabad. What is the total area of RK Lorven Homes?The project spans across 2.0 Acres. How many units are there in RK Lorven Homes?There are 36 units available in the project. Does RK Lorven Homes have lawn tennis? The project doesn't have lawn tennis. Does RK Lorven Homes have car parking? Car parking is available in the project. 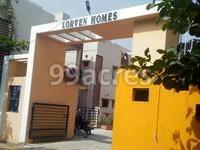 Hi Srinivas, according to online property portals, right now there is no property available for sale in RK Lorven Homes.